The Council has developed answers to a number of questions that real estate consumers may have about these new Rules. how to file a complaint about a licensee’s conduct. This new disclosure requirement is intended to ensure that consumers are not confused or misled about whether a licensee they are dealing with is going to be representing their interests in the transaction. The Council is developing a new form, provisionally called the Disclosure of Representation in Trading Services form, that clearly outlines for consumers the services that a real estate licensee can provide. This form, along with other information for consumers, will be made available before the new Rules take effect on June 15, 2018. Can I still represent myself in a real estate transaction? Yes. You may choose to be unrepresented rather than working with a licensee. Before making that decision, you should consider the risks of remaining unrepresented, and the potential benefits of having a real estate licensee represent your interests in a trade in real estate. When do I need to decide whether to be represented or not? Q: I want to look at a couple of homes with a licensee. But I am not sure if I want a client relationship or if I want to be an unrepresented buyer. Do I have to decide right away? It is up to you and the licensee you are working with to decide whether you wish to enter a client relationship. However, the licensee is not obliged to provide you with trading services (such as showing you homes) if you have not yet decided whether you wish to be the licensee’s client. Can I make an offer on a property my licensee has listed? Q: I have been working with a licensee for six months trying to buy a home. I came across one of my licensee’s listings, and I am interested in making an offer. I want him to represent me but he says he can’t, because limited dual agency is no longer allowed. Why can’t I work with my licensee anymore? Licensees are no longer allowed to engage in limited dual agency, except in rare circumstances. Your licensee cannot represent both you (the buyer) and the seller in the same transaction. Because of the prohibition on limited dual agency, the licensee you have been working with cannot continue to act for you. However, you can choose a different licensee to represent you going forward. Your licensee can suggest names of other licensees who may be able to assist you. For your reference and review, we are providing you with blank copies of the mandatory new forms below. This new mandatory form outlines the difference between being represented and unrepresented, and which of those two options is being offered to you by the licensee who is providing you with the form, disclosing who they represent in the transaction. For consumers who choose to conduct a real estate transaction without a real estate professional representing them, our licensees, representing the seller will provide you with the mandatory Council-approved “Disclosure of Risks to Unrepresented Parties” form for this disclosure. This form confirms that the licensee providing the form will not represent you in the transaction for a variety of reasons, such as the licensee is already acting on behalf of the seller in the transaction, which means any confidential information shared with the licensee will also be shared with the seller. 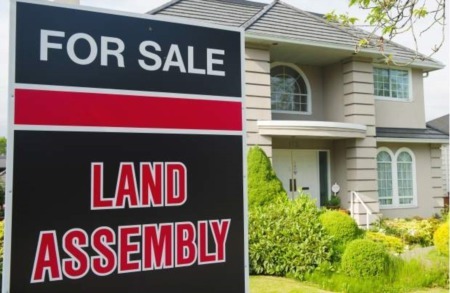 It is ultimately the consumer's decision whether they wish to be represented by a licensee; however, the Real Estate Council of BC recommends all unrepresented parties seek the advice of a professional during any real estate transaction. If you contact us and wish to work with one of our real estate advisors, we will be going over the forms and sending you signed copies before we offer any services. Should you have any questions, your dedicated real estate advisor will be happy to review these new forms with you at any time.